Truus, Bob & Jan too! By: Truus, Bob & Jan too! German postcard. Ross Verlag, No. 694/2. Henny Porten in Pratertraum/ Prater. 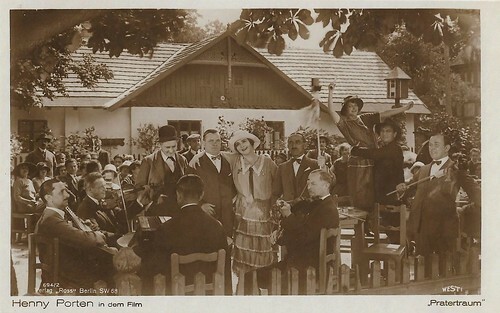 Die Erlebnisse zweier Nähmädchen (Peter Paul Felner, Atlantic Film/ Westi Film 1924). Sturdy and blond Henny Porten (1890-1960) was one of Germany's most important and popular film actresses of the silent cinema. She became the quintessence of German womanhood, ladylike yet kindhearted and a not a little petit bourgeois. She was also the producer of many of her own films.